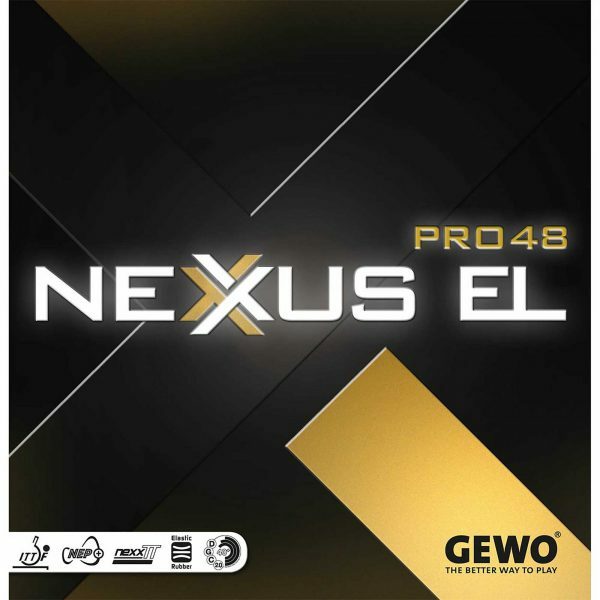 Nexxus EL Pro 48 will amaze you whether in fast, powerful opening topspins or slower, spin-focused rallies. You will virtually feel how the ball “digs into” the rubber and medium pore sponge. This ‘Energy Monster’ is designed for the explosive dedicated spin player who wants to play penetrating loops and precise topspins when attacking and, variant-rich serves/returns in passive situations. The grippy and flexible top rubber sheet provides maXXimum coupling of the ball in all attacking actions and is the perfect partner for high level players.